Currently, we do not have any job openings. Check back! Do you have a love of exploration of Western North Carolina and sharing your favorite things to do? Do you love writing about travel to inspire others? RomanticAsheville.com Travel Guide is looking for a full-time Content Manager / Travel Editor, aka "Storyteller & WNC Ambassador." The dynamic, fun career opportunity includes researching travel-related WNC topics, writing informative content, taking photographs that tell a story and engaging readers on social media. A passion for the Asheville area, our small towns and the gorgeous mountain scenery is a must! To find out more about the role, read the full job description below. As a primary voice for RomanticAsheville.com Travel Guide, the Content Manager / Travel Editor creates engaging website, social media, and email content to assist readers plan travel to 16 counties in Western North Carolina. In addition to maintaining close relationships with community partners as an enthusiastic ambassador, this role supports advertising partners through highly strategic promotions and sponsored content. This multi-tasker designs and uploads content and images to the website, as well as manages the social media channels. This exciting new position will direct many functions of a website that receives more than 5 million visits per year - one of the most-visited travel websites in the Southeast. This full-time position is based in Asheville. Read more about RomanticAsheville.com Travel Guide! Write 6-8 new pages or articles per month which highlight the region, support site expansion plans and achieve SEO goals. 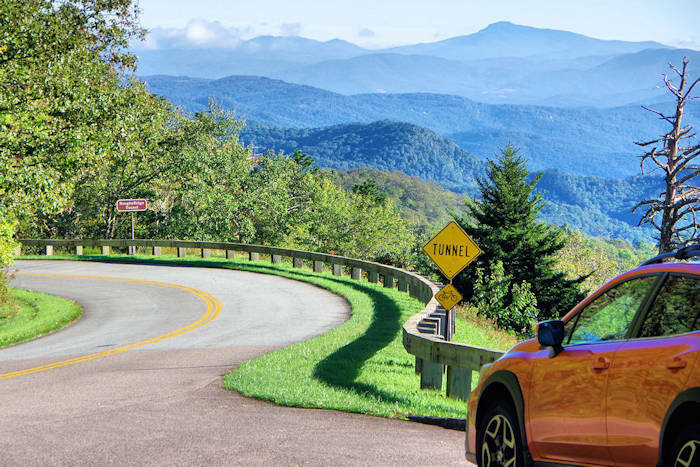 Conduct the necessary research by traveling and interviewing within the coverage region (roughly a 100-mile radius of Asheville) to obtain necessary information and images for new and existing content. Maintain the site’s seasonal editorial calendar. Develop and maintain close, warm relationships with site partners. Create dynamic editorial promotion that readers will respond to enthusiastically. Solicit and edit content provided by partners. Be proactive to research and update event listings & seasonal content. Develop and maintain a content update schedule. Leverage existing content by repurposing for and linking with new stories. Monitor Google Analytics to track traffic patterns and the effectiveness of content strategy and promotional campaigns. Identify improvements to functionality, and coordinate with web development contractor as needed. Create traffic reports for partners. Respond to questions from readers. Provide active management of and modern strategy for Facebook and Instagram with a mix of editorial content, seasonal content, upcoming events, and scheduled partner promotions. Support Pinterest referral traffic with seasonal and thematic pins and appropriate descriptions. Upload videos and respond to comments and messages on YouTube. Encourage engagement by responding/liking comments, mentions, and direct messages as appropriate across all social media channels in an expedient fashion. Create editorial calendar and strategy for e-newsletters, collaborating with partners. Create Sweepstakes & other initiatives to increase engagement. Monitor results via Google Analytics & other metrics. 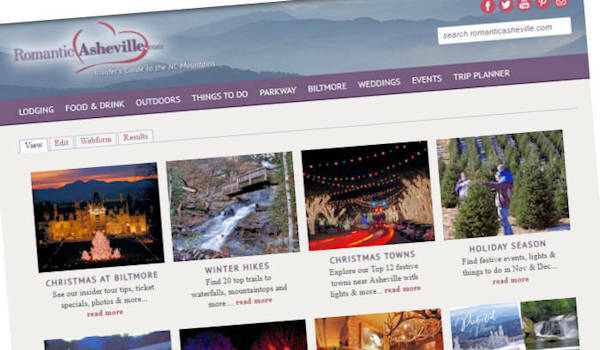 RomanticAsheville.com Travel Guide is a highly respected website that began in 2003. During the past 12 months, it has received 5.3 million visits from 200+ countries. Read more about us.